We strive to provide the highest quality medical and surgical care to our patients in a confident, compassionate manner to promote and strengthen the human-animal bond. 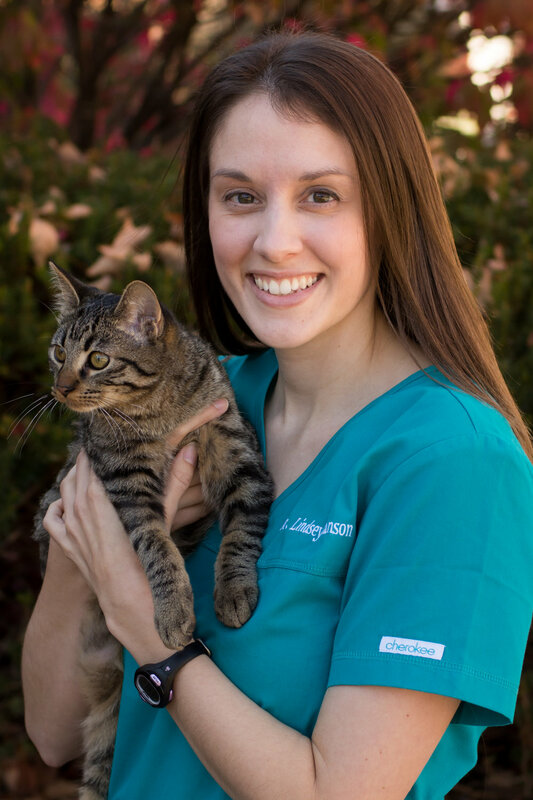 Dr. Lindsey Hanson completed a degree in veterinary science from UNL in 2009 and a DVM from Iowa State in 2013. She has practiced in Lincoln since 2013, joining South Ridge in 2016. She took ownership of the clinic in September of 2018. Dr. Hanson has a passion for learning and has special interests in internal medicine, dermatology, and surgery. Originally from Kearney, Dr. Hanson married her high school sweetheart, Brent. Together they have a daughter, Evelyn, and a pug named Henry (a.k.a. Hank the Tank). Dr. Cassie Lonowski received her B.S. in Animal Science from UNL in 2012 and went on to get her DVM from Iowa State in 2014. She practiced in Texas and Minnesota before moving back to Nebraska and practicing in Auburn for 3 years. She recently moved back to Lincoln to join the South Ridge team. Dr. Lonowski enjoys internal medicine and is IVCA certified in Animal Chiropractic. She is originally from Roca, NE, and has been married to her husband, Kalvin, for 4 years. They recently had their first child, Holt, born in June of 2018 and are adapting to parenthood! They also have a family of furry and feathered friends including 4 horses, 4 dogs, a cat, a goat, and chickens. Jessica is from Lincoln, NE, and has been in the animal industry for over 10 years. She has a family of finned and furry members with her husband Devin; a beta named Finway, a Golden Retriever named Stewie, an Olde English Bulldog named Quincy, a fat cat named Franklin, and a Siamese named Kitten. Fun facts: Jessica used to live in Boston and is a huge REDSOX fan! She also used to show Texas Longhorns at the State Fair. Katie is from Lincoln, NE. She has been in the small animal field for 8 years and has worked 5 years in marine mammal care at SeaWorld. She has a Basset named Chloe, a Great Dane named Huxley, a Ragdoll named Eli, and a Beta named RuPaul. Fun facts: Katie is planning a trip to Thailand to work at an elephant sanctuary for 2 weeks. She also keeps track of every species in which she has placed an IV catheter including a capuchin monkey, a walrus, a ferret, and an opossum. When she gets home, she loves to color! Alexis is from Kearney, NE, and graduated from the Nebraska College of Technical Agriculture in 2014. She has a variety of 4-legged family members including 6 Morgan Horses, 1 Pomeranian, 4 house cats, 3 barn cats, and her sassy Dachshund Scarlet. Fun facts: Alexis does in-home pet/house sitting! She also loves being outdoors, riding horses, hunting, and fishing! Mey is from Chicago, IL, and graduated from the Nebraska College of Technical Agriculture in 2014. She has 3 furry family members; a ferret and 2 dogs. Fun facts: Mey loves to burst out in song no matter where she is. She is also very involved in her church. 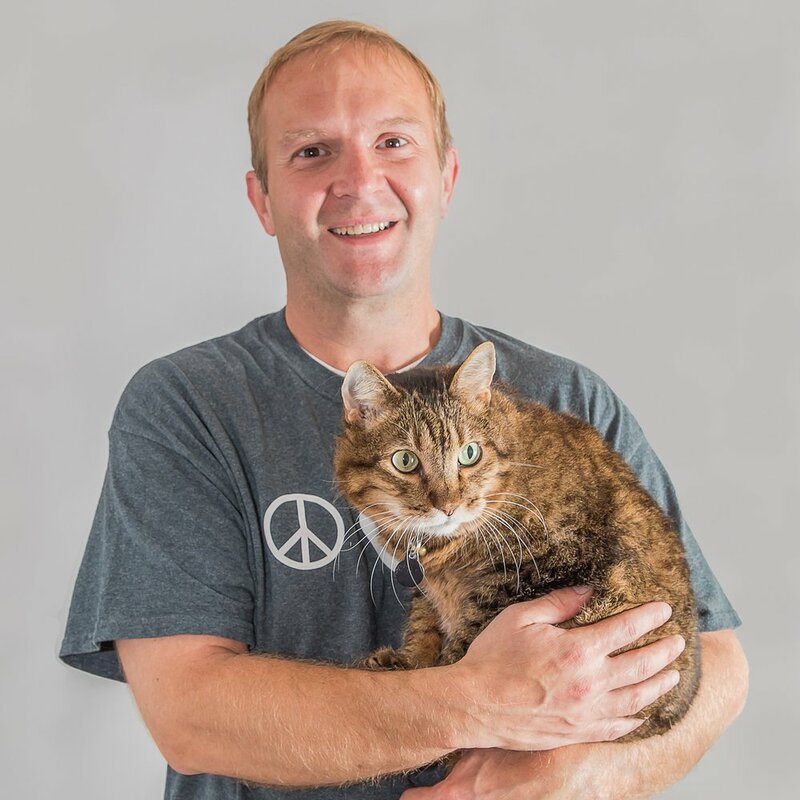 Brad is from Guide Rock, Nebraska and has been a Veterinary Technician for over 20 years. He has a cat and 3 horses. Fun Fact: Everyone knows when Brad has worked because the clinic is spotless and well organized and all the recycling is done! Ehlee is from Lincoln, NE, and is new to the animal field but is loving every minute of it! She has a dog named Puddin and a cat named Moe. Fun facts: Ehlee can brand and do blacksmith work. She also had to yodel for a whole summer while working at Philmont Scout Ranch. Torrie is originally from Huson, Montana. She has over 4 years of experience in grooming and was trained by Dawn VanEperen. She has 2 cats named Lou and Strudel, and 2 dogs named Obi and Joie. Fun facts: Torrie originally went to school for Aerospace Engineering. She is also the oldest of 9 siblings and has lived in 6 states! Jamie is from Omaha, NE, and recently joined the animal field. She loves animals and is excited about being in this industry. She has 3 dogs named Gizmo, Maddy, and Nova. Fun facts: Jamie lived in Las Vegas for 8 years but came back to Nebraska to be with family. She fosters dogs from Domesti-PUPS that are training to be service dogs. She loves to drink coffee and read. Vikki is from Omaha, Nebraska. She loves being in the animal field and has several years of experience. She also has 2 cats of her own, Harley and Gemma. Fun facts: Vikki loves to ride motorcycles!